Here's our first doodle entry. There're many types of pointer tracking available on modern personal computer operating systems, like mouse, trackball, trackpad or touchpad, track point, joystick, graphic tablet, stylus etc. Two of them are very popular. Mouse being the most traditional and conventional pointing device is very popular among computer users, but the advancements of laptops and notebooks the trackpad has been becoming more popular and giving the users more independence and portability. User can switch between these any time by pressing the keyboard functional keys. 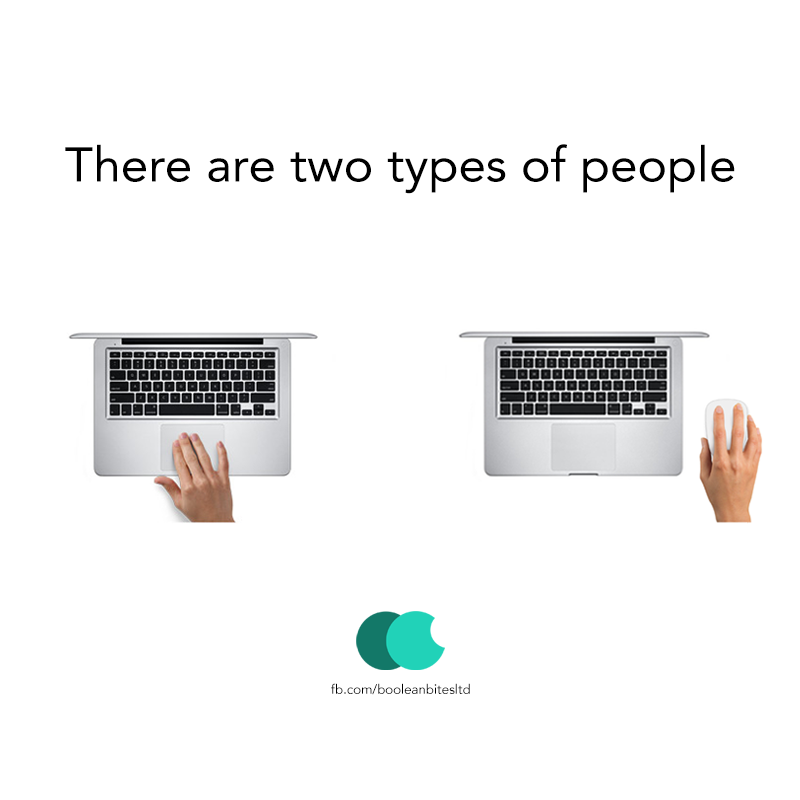 The people who're used to any of these find themselves more comfortable using their desired device and sometimes the opposite device can be very frustrating. 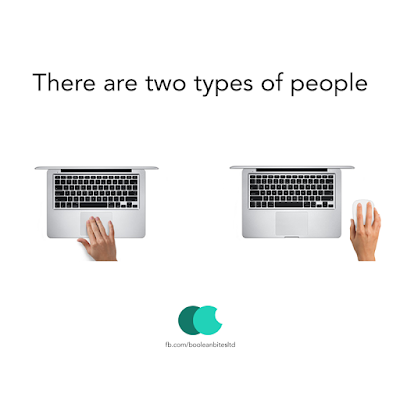 We've categories these two types of people in our today doodle, check it out and let us know what do you use typically and are more comfortable with. There're two types of people. I being a software engineer and a mac user, find myself more comfortable with the type 1. Yes, I use the trackpad and its been a year or more. I do all kind of stuff with it, like Xcode interface builder, eclipse and android studio graphical interface, even the photoshop (not that much but still) with the trackpad. I find it very handy with the mac environment. The two finger and three finger gesture, pinch and zoom are the features that has convinced me stop using mouse. I scroll through long document and webpages and pinch and zoom through pictures using two finger pinch. The three finger drag is also very cool, it gives a sense of control over the screen. But not as good as smartphone touch but it feels more closer to mouse. Let us know in the comments what points do you have in mind to support your way of pointer tracker.